Depending on the type, biking can become a high intensity personal sports that train many parts of your muscle groups. Many people choose freeride style during biking, because they can do anything with the style. They may jump, race downhill and ride with the North Shore style. One things you should aware that freeride bicycles are usually heavier and they have beefier suspension. Freeriders prefer to become more aggressive with their biking style. Another type of popular biking style is Slopestyle and it combines BMX style tricks and stunt ridden free ride. Well established mountain bike parks should be quite ideal for slopestyle courses, which often include quarter pipes, large drops, jumps and different kinds of wooden obstacles. Downhill biking should be a simple thing to do. If you want to perform downhill biking, it is important to choose a bike with proper rear and front suspension, heavier frame tubing and larger brakes than typical mountain bikes. Downhill bikes are not usually meant for uphill pedalling, because they often use ski lifts and trucks to get themselves shuttled to the higher positions. For average mountain bikers, downhill courses can be dangerous and physically too demanding. The course is steep and rough, often includes large jumps up to 40 feet and drops of more than 10 feet. In order to negotiate downhill courses, mountain bikers not only need to improve their skills, but also their anaerobic and aerobic fitness, as well as total body strength. Minimum body protection for people who perform downhill biking should at least include goggles, full face helmets and reliable kneepads. You may also need to perform dirt jumping, which is essential when you ride bikes over shaped mounds of soil or dirt. Bikers should be particularly nimble, with the ability to take off, become airborne momentarily and land on the right spot. Dirt jumping bikes can be similar to mountain bikes, but with smaller frames. It usually has single speed setting and with only rear brake to simplify the design. When performing trial riding, you need to jump and hop the bikes over typical obstacles. This type of challenge can be performed in urban or off road conditions, but both still require a good balance and flexibility. Just like with BMX riding, the emphasis is still also on technique, originality and great styles. Trial bikes look quite different when compared with mountain bikes. They have low and small frames, as well as 20-inch, 24-inch or 26-inch wheels. Some models may have no saddle at all. 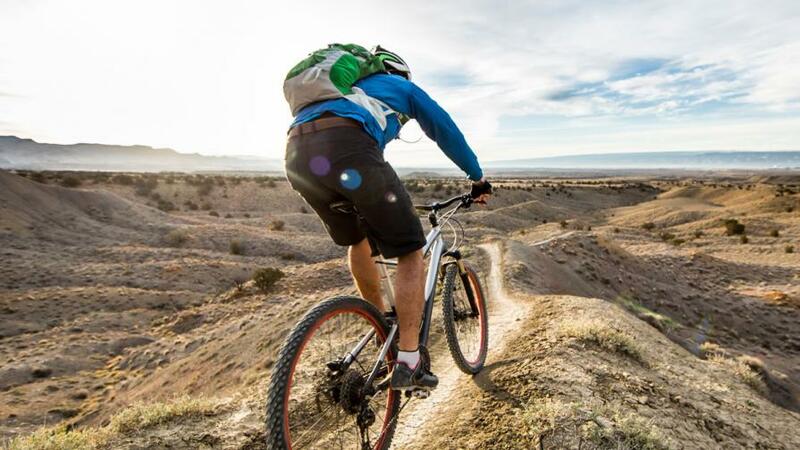 Again, just like any kind of biking performance, trial biking includes inherent risks of injuries, so bikers will need to wear protective gears, which protect them from injuries due to occasional or numerous crashes during training sessions. For a typical training session, beginners may weal full body armor suits, because they will crash more often, Spine protectors could become an important upper body protector and it can be consisted of plastic plates that are joined together. They may also have full face helmets that resemble motocross helmets, but with more ventilation for improved views.